The Runway Visitor Park is located just off the main terminal areas of the airport along Wilmslow Road. 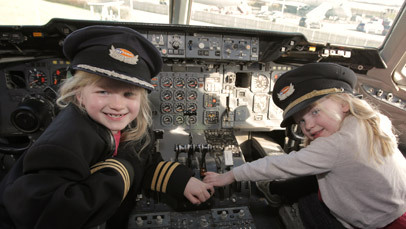 This unique location at the end of the runway offers a wealth of attractions for young and old alike, including the chance to view our planes take off from the best seat in the airport. 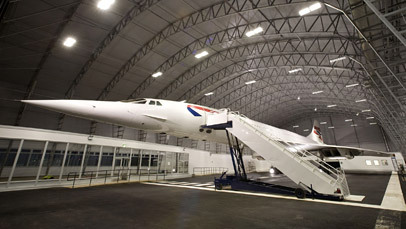 A variety of tours are available to get the full Runway Visitor Park experience, including specific seasonal tours alongside the Concorde Classic tour, where you have the chance to discover the flagship BA Concorde G-BOAC sitting in the middle of the impressive Concorde Conference Centre. From the M56, leave at Junction 6 and follow the A538 to Wilmslow. After approximately 500 metres take a left turn down Sunbank Lane. At the T-junction go right onto Wilmslow Old Road and follow the road to the Runway Visitor Park gates. Manchester Airport train station is less than 3 miles from the Runway Visitor Park. You can catch the 200 bus from the station out to the Park. Contact Traveline on 0871 200 2233 for more details on specific bus times.